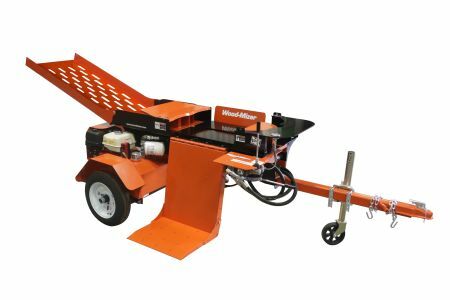 Split your wood chunks, crotches, end cuts, and firewood logs with Wood-Mizer petrol and skid steer hydraulic log splitters. 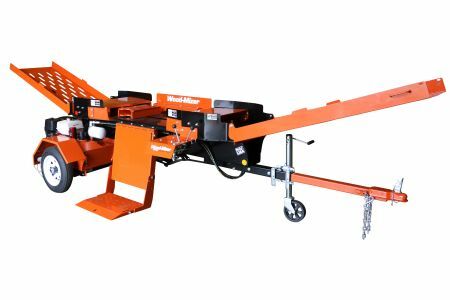 Built in the USA, Wood-Mizer FS150, FS300, FS350, FS350 skid steer, and FS500 hydraulic log splitters provide many unique features for firewood producers to maximize efficiency and productivity without the higher cost investment of a firewood processor. 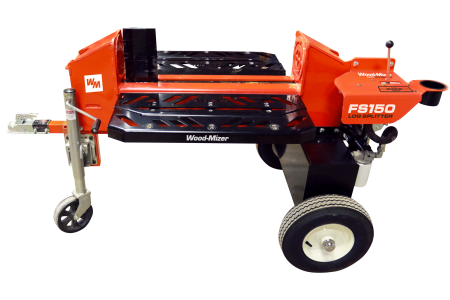 Portability, dual action wood splitting, and an efficient and ergonomic operator location make Wood-Mizer wood splitters a profitable investment for homeowners, landowners, farm operations, small firewood businesses, and commercial firewood companies. 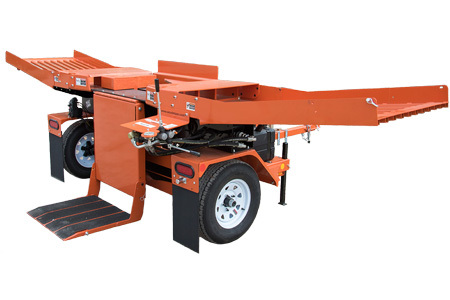 Horizontal, 18-tonne log splitter with bi-directional splitting wedge, 7 second cycle time, 7HP Kohler petrol engine, and trailer for easy hook-up and towing. Compact, powerful wood splitter with one-directional splitting, 390cc Honda petrol engine, 26 tonnes of force, 3-way wedge, and production up to 1 cord/hr. High-performance, hydraulic log splitter with bi-directional splitting wedge, 390cc Honda petrol engine, 26 tonnes of force, 3-way wedge, and production up to 2 cords/hr. 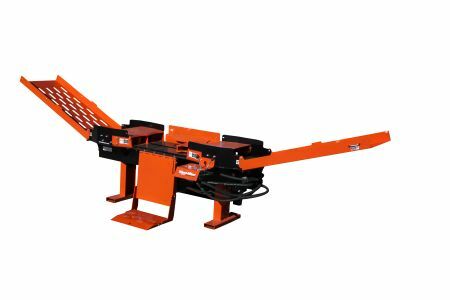 High-production, commercial hydraulic wood splitter with bi-directional splitting, 630cc Honda petrol engine, 4.5 second cycle time, 38 tonnes of force, 3-way wedge, log lift, and production up to 3 cords/hr. Powerful, skid steer wood splitter with bi-directional splitting, 26 tonnes of force, 3-way wedge, and production up to 2 cords/hr.